Tax fraud is an issue in the United States. The Internal Revenue Service has been taking steps to protect and prevent consumers from become victims of identity theft through tax refund fraud. 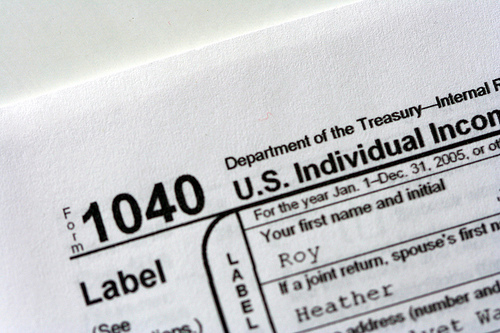 More than 236,000 tax returns processed last year were considered fraudulent due to identity theft. “Tax refund fraud associated with identity theft (IDT) continues to be an evolving threat, one that imposes a serious financial and emotional toll on honest taxpayers and threatens the integrity of the tax administration system,” the Government Accountability Office said in a report in August. Nearly $1.2 billion in refunds were blocked last year. The IRS has been investing in addressing the issue of identity theft for consumers. The number of identity theft returns is down significantly from 2012. The IRS reported that the numbers have been improved because of new filters that the IRS has put in place. One of the ways that the IRS has been taking steps to prevent identity theft is through the use of personal identification numbers or PINs for those who have been victims tax fraud. PINs are used to keep consumer information protected and private. The number of identity protection PINs issued by the IRS increased from 770,000 in 2013 to 1.2 million in 2014. The IRS will limit the number of refunds direct deposited into a single account beginning this year. The idea is that the limit to three direct deposits will reduce identity theft. If a taxpayer has more than 3 refunds, the rest will be mailed as a paper check. The IRS has increased staff assigned to work on identity theft cases that are reported and the agency has increased the amount of information on the website for consumers. Consumers can learn about tax fraud, identity theft, and the ways to report suspicious activity.